An investigation has begun into why an ATR72-600, registration B-16852, of Mandarin Airlines was severely damaged in a collision with runway lights after a runway excursion on 22nd August. The Taiwanese Aviation Safety Council has retrieved both the cockpit voice recorder and the flight data recorder from the aircraft and is looking into exactly what caused the excursion. 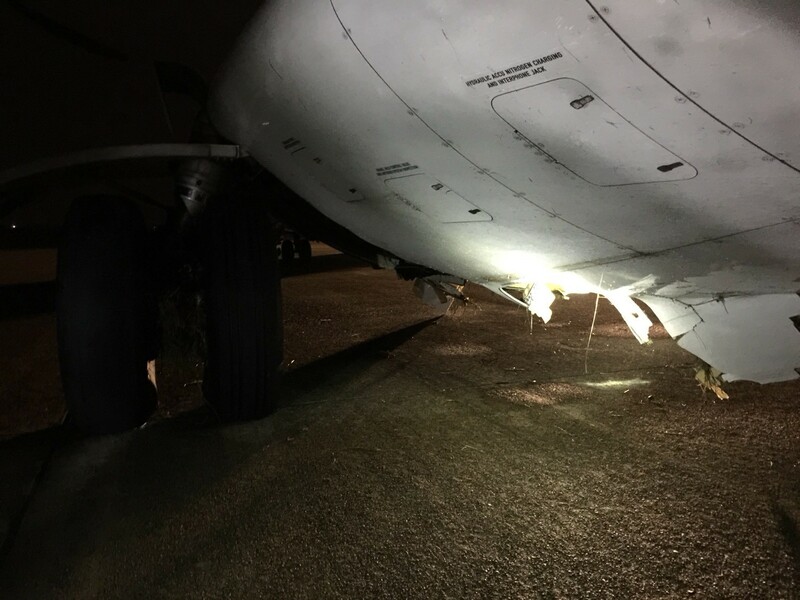 There were 74 passengers and crew on flight AE788 from Magong to Taichung, which landed at around 1929 on Wednesday evening followed by the runway excursion. Local media are reporting that none of the passengers or crew was injured during the incident. Local weather reports indicate there were thunderstorms in the area of the airport on Wednesday evening, which may have played a part in the accident occurring.